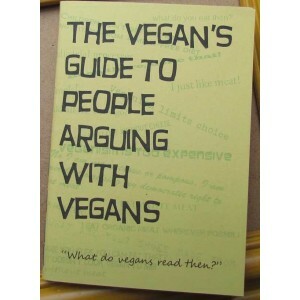 Available now - the publication that turned arguing with vegans on its head. 36-page A6 pocketbook format with two-colour card cover. Wow. "People new to veganism may initially be surprised by the cornucopia of codswallop said about what is, after all, a constructive, compassionate lifestyle choice. "As they soon discover, ignorance knows no borders, and the crassness, callousness and empty-headed nonsense in this collection is just the tip of the iceberg. 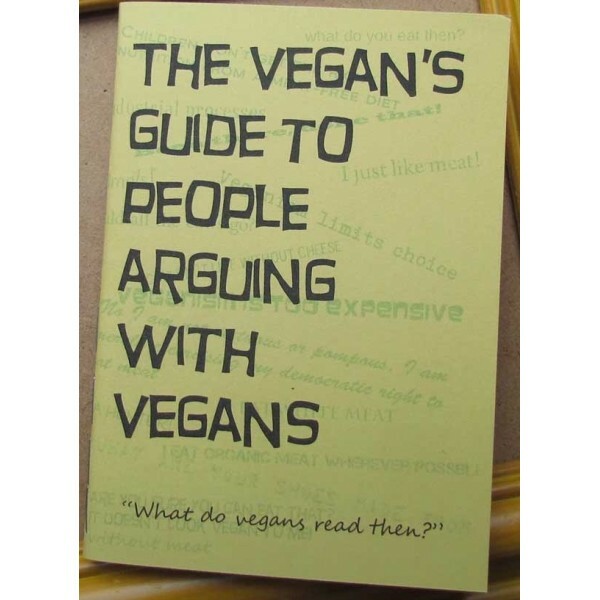 "This invaluable, interactive guide collects together some of the worst arguments against veganism to give you a flavour of what to expect from non-vegans. "Enjoy the sheer absurdity of people arguing with vegans!"